Happy Monday, everyone!! I love when fall time rolls around… the leaves are changing and the temps are definitely cooling down. I LOVE living in Utah because we get to experience the best of every season! One of my go-to layering pieces has always been a denim jacket, and tonight on Amazon’s Style Code Live I’m sharing a few different ways to style a denim jacket this fall! Tune into my segment tonight at 9pm EST/7pm MST here! And if you missed last week’s segment about my three favorite lip shades right now, you can view it here! Great post! Going to watch this. 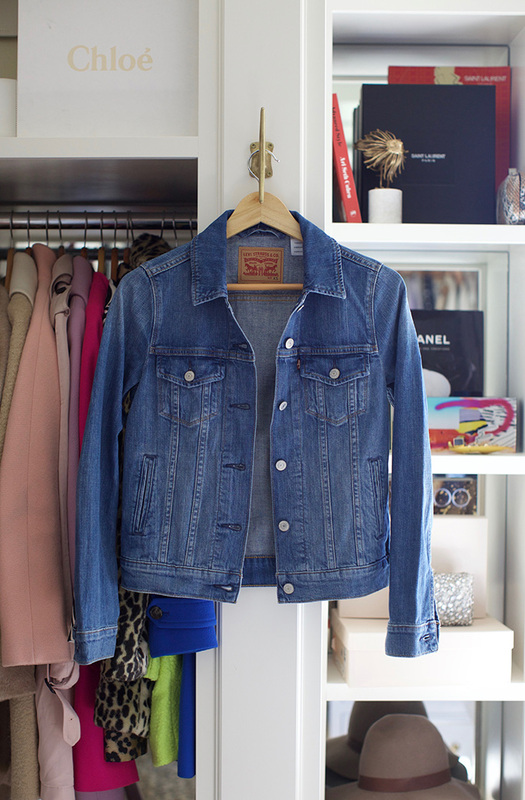 A denim jacket is one of my favorite layering pieces, too!! Layering is the best in this season! Cute outfits! A denim jacket is definitely a fall essential! I wish I knew where you got the green t-shirt dress from, as well as the white t you’re wearing in the first picture. I just adore your closet! I love layering jeans jacket for fall! One of the best pieces! I live in my denim jacket this time of year…such a great layering piece! Rach, you look absolutely beautiful in these photos, girlie; I can’t wait to watch your segment tonight. Even though I have a denim jacket in my wardrobe, for some reason, I don’t wear it as much as I would’ve thought when I first purchased it. Perhaps I should give it a try this fall and give my leather jackets a break, lol. I hope you have a wonderful week ahead, beauty! Thank you! My denim jacket is definitely my fall go-to. I hope you have a great week too! Yes! Denim jackets are a must in Fall! Excited to tune in and check out your tips. Yes, great layering options! I like the 3rd one especially. Can’t wait to check out the episode tonight. There’s nothing better than a good denim jacket! These are perfect! And those Jeffery Campbell booties are amazing! I tried them on and they didnt fit me right, they kept slipping up on my ankle. BUT SO cute, and they look amazing in that outfit! Can’t wait for the segment! All these looks are super cute. You look gorgeous! This looks like such a fun segment. Can’t wait to watch. So fun, Rach! I love a great denim jacket as well! Thank you so much Tessa! I’m glad you enjoy them! Love this jacket! Denim jackets are so nice for this time of the season! Your style code live debuts are sooo cute! I love seeing you on vid! Where’s the denim jacket from? Forgive me if it’s been mentioned already.